I suppose that's an understatement. Yesterday, however, I needed to bake something to send to school with Henry for his birthday, and I picked up two boxes of Betty Crocker cookie/brownie bar mix. Good old, Betty. She gave me directions for doubling the recipe and hence baking everything in a 9x13 pan, and so I trusted her. If you follow me on Twitter, you chronicled my experience right along with me under the hashtag #DisastersInBaking. Sounds like so much fun, right?! We had a couple of missteps involving not-so-softened butter and "evenly" dropping the cookie batter onto the brownie mix, but in the end, they turned out edible. I wouldn't say that they turned out particularly *attractive*, but we cannot have everything, can we, dear reader? He was all excited about the included salad bar, and came away with a plate full of what he was coveting: croutons and buttered bread. He bravely ordered a small steak off the children's menu, and a wonderful time was had by all. Our other precious little one, Anne (aka "The Sassinator") was home with her grandmother. I think Henry liked having our attention solely on him. 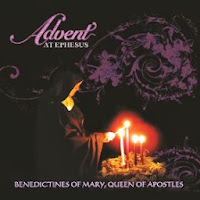 I know it's not Advent yet (*sheepish*) but I couldn't help it, I listened to the samples of Advent at Ephesus again and again this morning . It was extremely soothing as I went through the fairly monotonous process of ordering books for the collection this morning. I just down that I'll be hitting the "1 click download!" button any day now. I work at a state university, so we usually have quite the opposite problem. Think: decades of people joking that our "storage facility" was the trunk of our director's car. But there is this one fund that I am now in charge of, and it's an endowment, so it's devoted to this one specific collection, and has lots of conditions set upon what you can buy. And it's large. It's actually *hard* to spend all the money since it's such a specialized collection. It is, however, seriously cool. Byzantine Studies. I mean, did you ever?! I'm in charge of ordering thousands of dollars worth of books on the early Church? Let's just say that I'm enjoying this new task immensely. 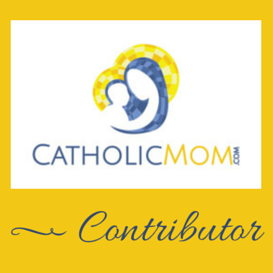 Next week I'm going to debut a new series about vocations on this blog, starting with a few priests that I met at the CNMC. They were kind enough to answer a series of nosy questions that I sent them about how they discerned their vocations and their daily lives as priests. Vocational Monday? Priesthood Tuesday?! I don't know, but I'm terribly excited about this. I may try and find some nuns to play along as well, we'll have to see. But I absolutely love personal faith stories, and these are going to be awesome, so stay tuned! 1. Making cookies and brownies in same pan sounds delicious. How come I never thought of combining 2 of my favorite deserts before?? I will need to try this soon. 4. That is neat you have to order so many books on the early church. I have religion collection development duties but that covers all religions. 5. Looking forward to the vocation stories.